Eastern Africa currently harbours the highest burden of visceral leishmaniasis worldwide. The disease mostly affects poor communities living in remote rural areas, with up to 70 percent of patients being children. Despite this burden, existing treatments are still difficult to administer, costly and pose life-threatening toxicities. For more than eight decades, visceral leishmaniasis patients were treated mainly with pentavalent antimonials, namely sodium stibogluconate (SSG). Administered either through injection or intravenously over a 30-day period with a large daily dose, the drug causes pain and comes with life-threatening side effects, such as cardiotoxicity, hepatotoxicity, and pancreatitis. 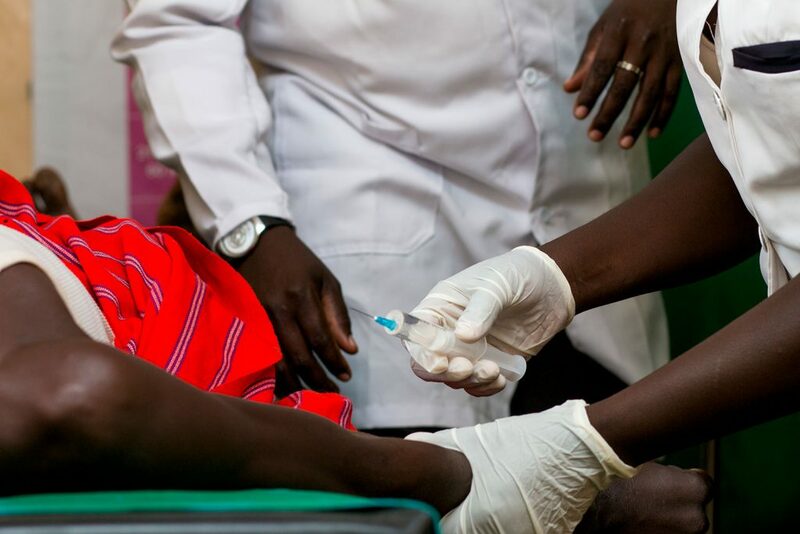 Today’s first-line treatment in the region is a combination of SSG and paromomycin (SSG&PM combination), which was shown to be effective following a clinical trial carried out by the Leishmaniasis East Africa Platform (LEAP), DNDi, and other partners in 2010. This study resulted in a landmark change in the WHO treatment guidelines, which now recommend SSG&PM combination with an efficacy of 91%. Although an improvement over the previous 30-day SSG monotherapy, patients must endure two painful daily injections for 17 days, hospitalisation is required throughout treatment, and the life-threatening side effects of SSG are still present. There is a grave need for a safer, non-antimonial-containing, innovative therapy of short duration that can be deployed more easily, at lower cost, and in remote areas that do not have well-equipped health facilities. AfriKADIA’s core mandate is to carry out a Phase III clinical trial to evaluate the efficacy and safety of a combination of oral miltefosine (MF) and paromomycin (PM) in treating visceral leishmaniasis in eastern Africa, compared to the standard 17-day treatment of SSG&PM combination.